A nursing home neglect lawsuit was settled for $90 million due to the amount of abuse and neglect of the residents, as determined by the jury. The jury found that a nursing home failed to feed and care for a woman with dementia who died in the nursing home’s care. She was waiting to be transferred to a facility that specifically cared for Alzheimer’s patients. Before being admitted into the nursing home, the woman could walk along without support and could feed and care for herself. Three short weeks later, she was not even responsive. The more than $90 million settlement for economic and punitive damages, is subject to post-trial reduction by the trial court along with the opportunity of appeal. 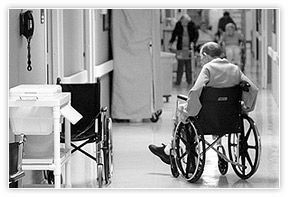 Unfortunately, many nursing home facilities are motivated simply by profit over adequate staffing and care. If your loved one resides in a nursing home, pay attention. Look for signs over neglect or abuse. Reports show that 30% of nursing home facilities are cited for instances of abuse. Weight loss, diminished appetite, becoming less active, falls and easy bruising are normal parts of aging, but neglect can accelerate all of these problems and lead to an early death. Contact an experienced nursing home neglect attorney if you believe your loved on has any of these symptoms. Chris Davis has over 25 years of experience in nursing home abuse cases. Call Davis Law Group at (206) 727-4000 to schedule a free consultation today.